Ms. Angeline “Angie” Martin, 76, of Goodlettsville passed away on August 7, 2018. She was born on May 24, 1942 to the late O.B and Mildred Harper. She is also preceded in death by her husband, Ronald L. Martin, Sr.; and half brother, Bill Fuller. Angie adored her family; any event her son and grandsons participated in, she was there supporting them. 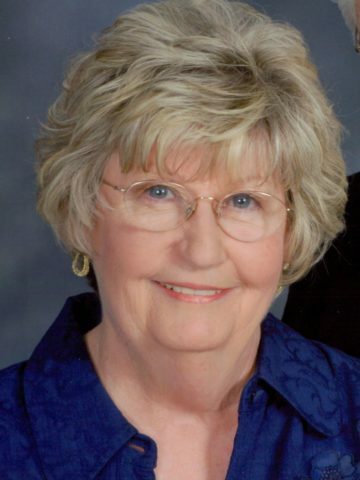 She was an avid sports fan and loved UT Football. She enjoyed doing crossword puzzles and watching game shows on TV; especially The Price is Right. She was a member of the First Lutheran Church in Nashville where she was a member of the choir and a very talented singer. She enjoyed traveling with her family, her favorite places were the beach and mountains. She was a very loving mother and grandmother who will be truly missed. Angie is survived by her son, Chad (Danielle) Martin; two grandsons, Chase and Kelton; and many other family members. A graveside service will be held 9:30am, Friday, August 10, 2018 at Beech Cumberland Presbyterian Cemetery. A visitation will be held Thursday evening from 6-8pm at Cole and Garrett Funeral Home in Goodlettsville. Sorry I will not be able to attend either the visitation or the graveside service. However, you all know how much I love Angie. You will all be in my thoughts and prayers. Peace. Angie was my dear sister-in-law and I cherished her friendship. We spent some fun time together before our husbands passed away. She was a very sweet person and I will miss being able to share family news and events with her—both past and future. Rest in Peace, Angie. Angie and Ron Martin were two of my heroes when I served as interim pastor at First Lutheran Church. I shared the awesome solar eclipse with Angie last August as we sat on the steps of the pool with our feet in the water. She was always the gracious, caring person I could count on and I’ll miss her whenever I visit in Nashville. Blessings to all in her extended family!